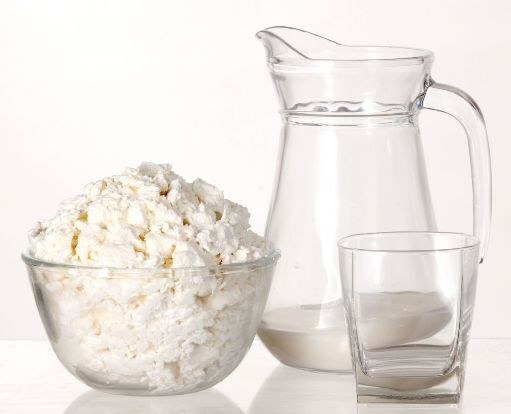 Cottage cheese healthier than regular? It is widely believed that the curd is one of the most healthful foods. Because it is rich in protein, essential amino acids, trace elements, especially calcium and phosphorus, various vitamins. But often in stores and on markets under the guise of cheese they offer cheese product. What is it? Cheese contributes to the normalization of metabolism, formation of bone tissue. In addition, it is well absorbed, so it is especially useful for children and the elderly. It is not surprising that many people try to regularly eat cheese. According to GOST, curd is a product that is made from whole milk with addition of natural animal fats and natural ferments. Since the manufacture of such a product can be stored no more than 72 hours (of course, in the fridge). Buyers often offer a product that does not meet these conditions. The most common violation is the use in the production process of animal fats, and vegetable. Usually it's palm or coconut oil (may also be used a mixture of these oils). As a result, the cost of the product is markedly reduced, because these vegetable fats are much cheaper than natural animal fats! In addition, in order to reduce costs, manufacturers parts are used as raw material is not solid, and powdered milk. Finally, to extend the shelf life of the product can be added various artificial antioxidants and stabilizers, which in the natural cheese to be, of course, can not. Under current rules, the manufacturer must indicate those substances on the packaging. If no such information, but the specified storage time exceeds 72 hours, you can be sure that it's not cheese, but cheese product. Cheese helpful or harmful product for the body? Natural curd is useful not only for the fact that it contains high amounts of protein and micronutrients. In addition, natural cheese is a source of live lactic acid bacteria, which play beneficial role for the intestinal microflora. It is easy to understand that the curd product, which thanks to the cheap substitutes of natural fats, antioxidants and stabilizers can be stored for a long time, these living lactic acid bacteria is either not at all or very few of them. And cheap vegetable fats, especially artificial additives to extend the shelf life of the product, a good body is clearly not bring. Therefore, it is better to buy still, natural cheese, carefully studying the information on the packaging of the product. Or learn to cook it from fresh milk, especially that it is not difficult.